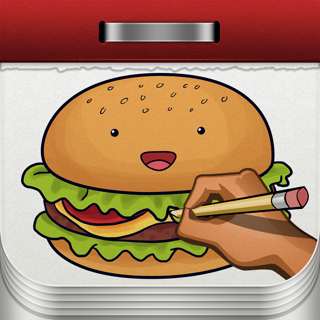 • the app includes lots of drawings such as: cartoon characters, animals, cars, dragons, planes, flowers, anime and much more! Updated server containing drawing instructions. 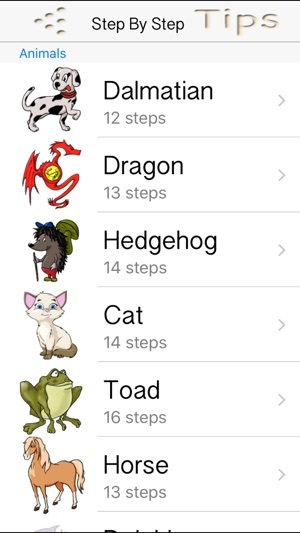 The app starts off on the right foot. I am one of those who can't draw and the app gives you the chance to start out tracing and move on to free hand. You can change the opacity of the tutorial sketches, move them to a floating panel while you're drawing is the main screen or you can turn them off altogether. 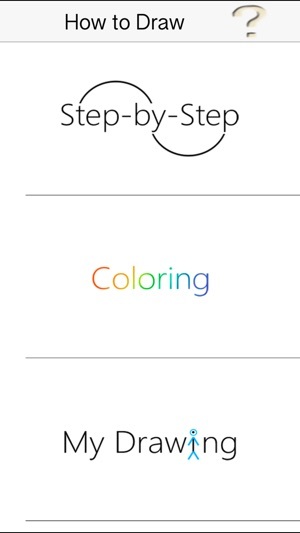 The app also allows you to work on drawing in one module and work on coloring in another. This is very useful as the two things are very different. One of the best features is the ability to pinch-zoom and move the picture around. This allowed me to use the store and rear to move around the picture making fine adjustments until I had a fairly reasonable picture. Now for the bad. Apparently the app doesn't allow saving even though there's a menu for it. Try as I might it would not save. Secondly and related, there's no way to save a partial work then return at a later time and finish it. There's not even a menu indicating sometime in the future their may be a load function. So, if you don't mind doing all your work in one sitting and not being able to save the finished product (I did a screenshot and saved it). Then this is a great little program to help you learn to draw. Of course no matter how good the program, you have to practice, practice, practice to get where you can do it out of your head without help. This app is fun for kids. It allows horrible drawers to make decent drawings. 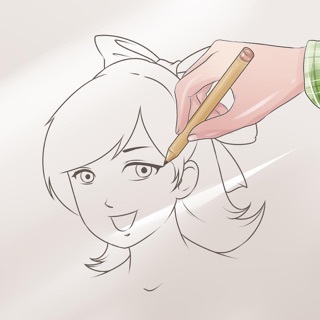 One of the problems about this app is the completed drawing example covers the canvas so you can't see your entire picture. 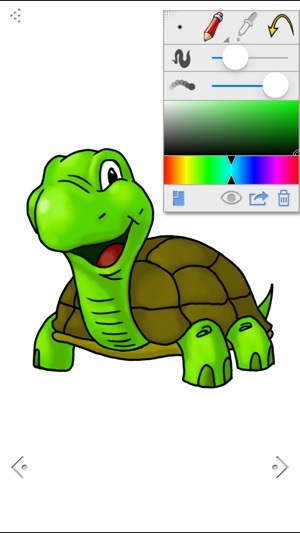 This does not really teach you to draw, but allows you to trace to make some cute pictures. There are more than two pictures unlocked for this app now. I occupy a stressful role and coming home to this and some tv really helps me unwind at the end of day, and so for that I extend a very big thank you to the designers. AND please add more sketches, because I’ve used about half of the collection so far! !